Students at Scappoose Middle School took part in the school's annual Feather Bazaar this week. During the winter, students earn "feather" tickets for doing good deeds and exhibiting positive behavior. During the bazaar in December, the students can then exchange their tickets for a variety of items ranging from coffee mugs to fleece blankets to snacks and treats. Students can keep items for themselves, or use them as gifts for family members and friends. 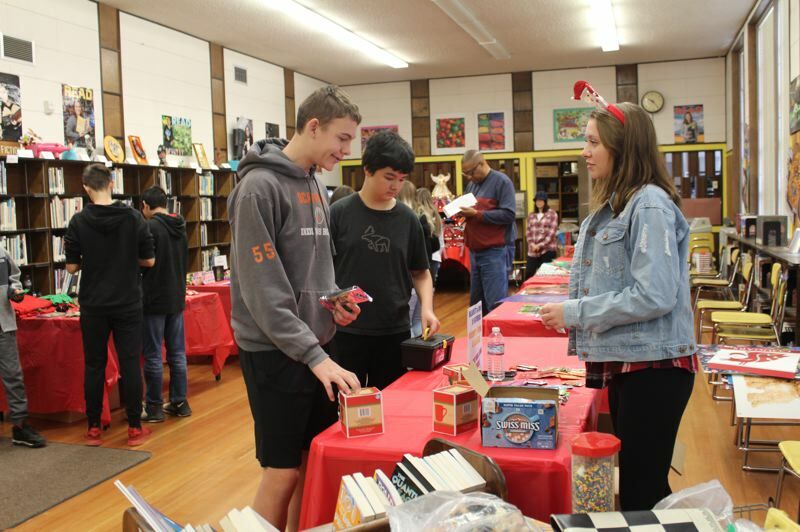 The bazaar has become a tradition at the school and relies on support from volunteers and donors, including contributions from staff, family members of staff, and donors like the city of Scappoose.